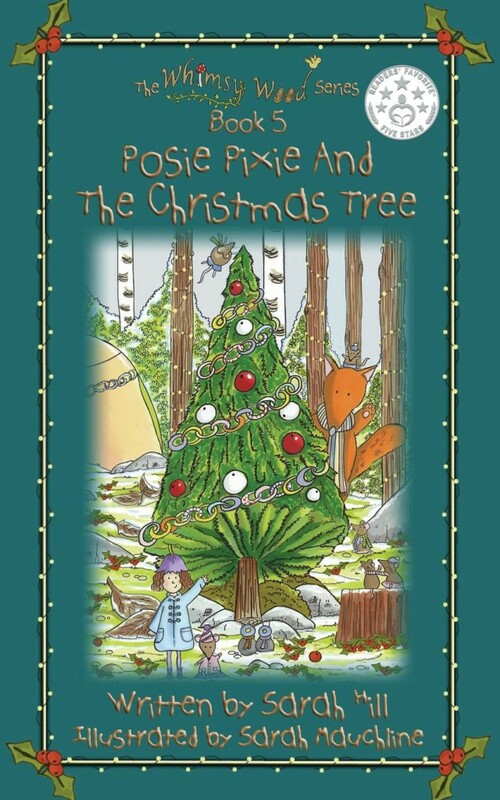 According to Santa's elves, " 'Posie Pixie And The Christmas Tree' is likely to be the most magical literary addition to a Christmas stocking this festive season! " Then the conversation turns towards Christmas... Suddenly, Posie realises that she's forgotten something jolly important, in preparation for the festive season! What could this possibly be I wonder?! Find out in this fabulously festive next instalment and meet more of the adorable 'Whimsy Wood' characters! The Readers' Favourite 5-Star Seal Awarded to book 5, 'Posie Pixie And The Christmas Tree' in 2015. 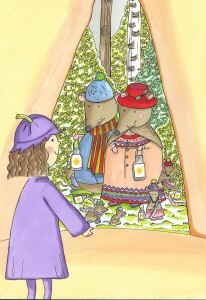 '....Mr and Mrs Dusty the dormice and their six little ones were walking towards Posie's house, swaying their firefly lanterns and singing festive songs as Posie opened her front door. "Oh that was lovely!" cried Posie, clapping her dinky pixie hands together with delight when they'd finished singing. "Come inside and warm yourselves up with some hot holly-juice and snowberry pies," she said kindly. "The 'Rudolph the red-beaked robin' song was brilliant! It was just so funny!" "Sarah Hill's magical Christmas story transported me to a woodland world of snow and ice, copper kettles and snowberry pies. In Whimsy Wood, everyone cares for each other and helps wherever they can, which makes this story another heart-warming adventure with Posie Pixie and her woodland friends."